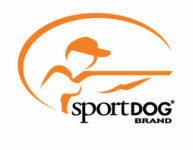 Courtesy of the U.S. Sportsmen’s Alliance/ www.sportsmensalliance.org. 3- Humane Society of the United States—this radical animal rights group lists trapping as wildlife abuse. This group is currently being sued for violation of federal racketeering laws. 4- American Society for the Prevention of Cruelty to Animals (alias ASPCA)—states openly on its website that “The ASPCA is against the use of leg-hold or body gripping traps to capture wild animals because of the pain and distress that they cause.” The group also opposes hunting. 5- Defenders of Wildlife—this group opposes wolf hunting and trapping, and launched an aggressive on-line campaign to skew an Idaho wolf trapping survey in its favor. D o W reported it had 39,000 followers overwhelm the Idaho Game and Fish Commission’s website. 6- Born Free USA—this radical animal rights group labels trapping as “barbaric” and has a trapping victims fund to help cover veterinarian costs for animals—including wildlife—caught in traps. It distributes a free “How to Organize an Anti-Trapping Campaign” booklet through its Animal Protection Institute group. 7- In Defense of Animals—opposes trapping and has created a “furkills” website to promote the group’s propaganda—and to collect funds. The group also encourages followers to create a display in their local public library to display leaflets, posters, and books about the cruelty involved in trapping or leg-hold traps. 8- Animal Welfare Institute: Opposes trapping and is pushing the Refuge from Cruel Trapping Act in Congress to end trapping on national wildlife refuges. Filed a lawsuit in 2008 to stop coyote and fox trapping in Maine under the guise of protecting Canada lynx. 9- Center for Biological Diversity: has campaigns underway to stop wolf trapping and hunting in Montana, Wyoming and Idaho, and another in New Mexico to save Mexican gray wolves. Some of the group’s “urgent letters of action” also includes requests for donations to end trapping. 10- Footloose Montana—works to oppose wolf trapping and the management of these large predators in Montana while other wildlife species, like elk, dwindle in numbers at the hands, or paws, of wolves. Also works to end trapping on public lands.